New Release: His Lady's Keeper, Regency Romance! I am thrilled to announce that His Lady's Keeper, the sequel to I'll Be Yours has been released at New Concepts Publishing! You can find the cover, tag line and blurb below! Lady Gemma St. Martin rebelled at the thought of having a keeper to guard her every move, but when she met her keeper, the rakishly charming Highlander, Hart MacKinnon, her rebellion turned to surrender. Independent and free spirited, Gemma St.Martin wanted to dictate her fate in life. When she sets her sights on a totally unsuitable husband, however, Mallory St.Martin intervenes and hires her a keeper—the mysterious Highlander, Hart MacKinnon. 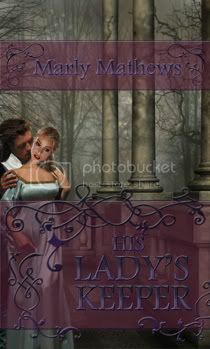 MacKinnon loses his heart to Lady Gemma the first time he sets eyes on her and decides to make her his, but a secret connects both families that just might destroy their chances of finding happiness. Buy His Lady's Keeper now at New Concepts Publishing! Book Video for When Danger Follows by Maggi Andersen! I've made a book video for Maggi's newest release at New Concepts Publishing, When Danger Follows. Please click the high quality button so you can see it the way it's intended to be viewed. 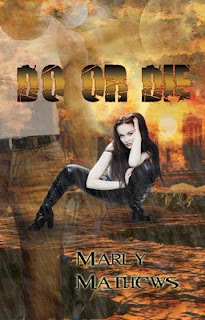 Do Or Die Reviewed at LASR! Attempting to lead a normal life in a not-so-very normal world, Shylah relies on her ghostly boyfriend, Grayson to keep her grounded and focused. However, for an extremely talented telepathic war hero, that’s not as easy as it would sound. The reappearance of her ex-lover only complicates things in an epic way. From the very beginning, Do or Die is packed with fantastic action. There is a surprise around every corner and a few that will take you completely by surprise. Interspersed with several sweetly sensual love scenes, the story develops at a rapid pace, dragging you further in with every page. Much more than just a love story Do or Die is a story of true friendship and coming together against all odds. Set on an Earth vastly different but eerily familiar to the one we know and love, the interplanetary tensions and prejudices are more similar to our lives today than we’d ever care to admit. A great romance coupled with a life lesson so many still need to learn. It's also up for best book of the week at LASR, so if you get there by Sunday at Midnight, you can vote for it!